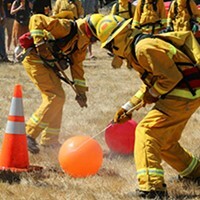 A wildland firefighter challenge, vendor booths, kids' area and live music to benefit the Honeydew Volunteer Fire Company. Dates TBA. Typically the last Saturday in July.